The much talked about and highly anticipated Huawei Mate 20 and Mate 20 Pro have been finally launched in the Philippines. Officially priced at Php40,990 and Php49,990, respectively. If that's a bit hefty for your pocket to shell out in one drop, you may want to get them via Smart GigaX Postpaid Plans for a much more affordable way. Thankfully, Smart Communications Inc has officially released postpaid pricing for these latest Huawei flagships. Take note that these offerings are for the 6GB/128GB variant only. 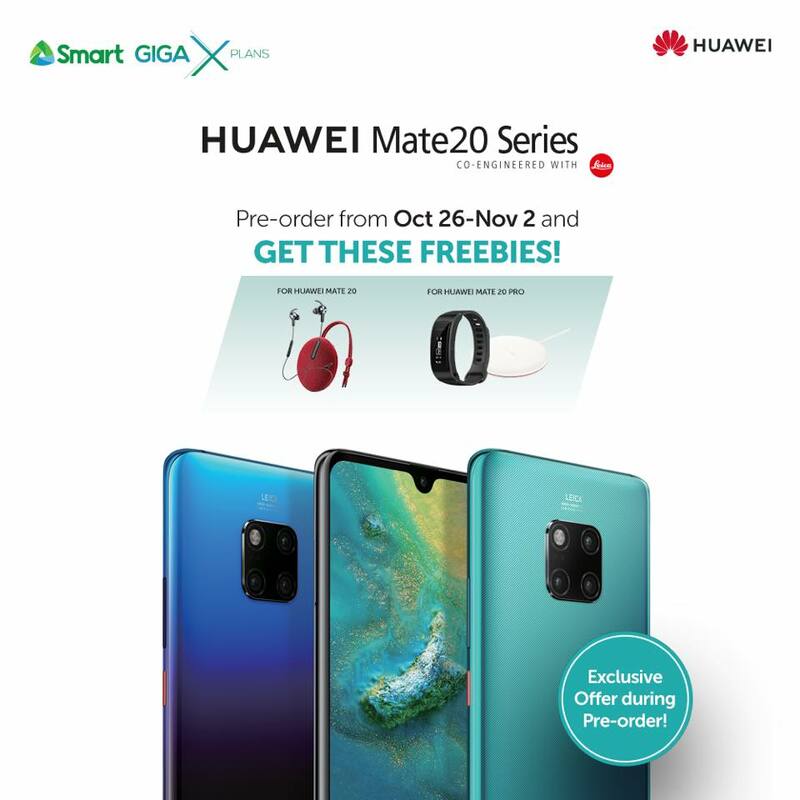 You can get the Mate 20 under Smart GigaX Plan 1499 with monthly device fee of just Php700. That means, your monthly total payment for a 24-month contract would just be Php2,199. You just have to initially pay one month in advance. Available in Midnight Blue and Black. You can check out some other available postpaid plans here for this specific device and see which one suits you and your budget best. For the Mate 20 Pro, you can also get it under the same GigaX Plan 1499 but with a monthly device fee of Php1,100. That gives you Php2,599 total monthly fee for the next two years. And that would be the same thing for your initial payment (one month in advance) which is at Php2,599. You can choose between Twilight, Blue, and Emerald Green color options. More postpaid plan details here for the Mate 20 Pro model. And in case you wonder what GigaX Plan 1499 will offer you, see list of its monthly services below. If you pre-order on or before November 2, 2018 from Smart, you will get exclusive freebies. It's Bluetooth earphones and speaker for the Mate 20 Pro and wireless charger and TalkBand B3 Lite for the Mate 20. To apply for the plan, you can do it via Smart's websites through the links above you can personally visit a Smart wireless center to do so.